Robert LePage’s Coriolanus officially opens at the Stratford Festival this week. 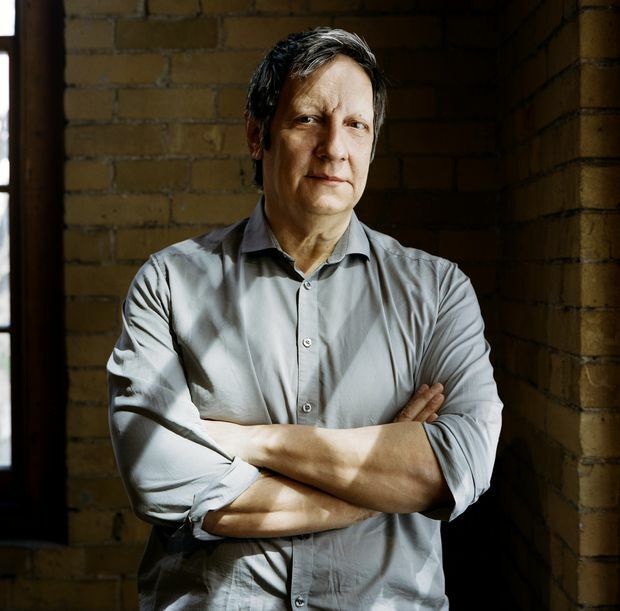 Over the next year, director Robert Lepage – who speaks from experience, having hacked at Shakespeare more than any other playwright over his long, celebrated career – is about to take two giant whacks at the same tragedy in quick succession. This week, Lepage’s Coriolanus officially opens at the Stratford Festival – and then, in January of next year, his Coriolan, a French-language version, opens at the Théâtre du Nouveau Monde in Montreal. While both are highly anticipated, it’s Lepage’s official debut at Stratford that is the dream Shakespeare matchup – a decades-overdue pairing of director and repertory theatre company that many are surprised to learn hasn’t happened yet. Internationally, the Stratford Festival is the country’s best-known theatre institution devoted to Shakespeare or otherwise for more than 60 years – and, likewise, Lepage has been our best-known director of Shakespeare or otherwise since the 1980s. But both had to compromise their unique rehearsal processes to finally bring a collaboration to the stage – and the result is a production of Shakespeare that could bridge two divergent understandings of him in Quebec and the rest of Canada: as a great storyteller, and a great poet. And Lepage also hopes to put forth another understanding of Shakespeare with his Coriolanus as well: as a playwright who somehow seemed to foresee the problems that social media would pose for democracy. Lepage’s twin productions of Coriolanus/Coriolan will not only provide a rare opportunity to see how the tragedy changes from one language to another, but to reflect on how Shakespeare himself shifts in meaning from one of Canada’s supposed solitudes to the other. Both will have the same strikingly cinematic design created in collaboration with the wizards at his own theatre company Ex Machina – but the first will feature Stratford stars speaking Shakespeare’s own words, while in the second, a team of Quebec stage and screen giants will speak Michel Garneau’s streamlined translation of the play into French. The director expects Coriolanus and Coriolan to be “radically different” from one language to the next – just as he is. “I have a very different personality when I speak English and when I speak French,” he says. So does Shakespeare. While the playwright has been at the heart of English Canadian professional theatre since the Stratford Festival was founded as its foremost institution in 1952, his plays only found a place at the heart of Quebec theatre, strangely enough, during the Quiet Revolution. Nationalist theatremakers in English Canada rebelled against Shakespeare (or Stratford, anyway) in the 1970s, but nationalist theatremakers in Quebec were embracing him. According to scholar Leanore Lieblein, there were only 11 Shakespeare productions in French in Quebec in the 25-year period between 1945 and 1970 – but, in the following quarter century, his popularity more than tripled, with at least 38 French-language productions of his works. At the same time that Quebec was battling to protect its distinct culture from “la langue de Shakespeare,” the province’s theatre companies increasingly began to embrace Shakespeare himself – the reason being that they started to stage him in distinctly Québécois translations. Until 1968, Shakespeare was performed in Quebec only in translations imported from France – mainly the florid 19th century versions penned by François-Victor Hugo, son of the novelist Victor Hugo. Lepage, for his part, recalls watching Hugo’s Romantic take on Shakespeare in productions that “went on forever.” “We avoid those translations now,” he says. Exactly 50 years ago this year, however, Théâtre du Nouveau Monde (TNM) co-founder Jean-Louis Roux – who had performed at the Stratford Festival in Michael Langham’s bicultural Henry V in 1956 – penned what’s considered to be the first homegrown Shakespeare translation in French, of Twelfth Night. That revolutionary year of 1968 was also when Jean Gascon – who had co-founded TNM with Roux – was appointed artistic director of the Stratford Festival, the first Canadian-born artist to hold the post and one who made Stratford feel like a truly national theatre. Lepage notes that many artists from Montreal would come to work in Stratford at the time – and forged a deeper connection to Shakespeare that they brought back with them. That’s not to say all Quebec translations of Shakespeare are alike: Michel Garneau – whose versions Lepage has championed since the 1990s – made the Bard’s stories most relatable in Quebec with the Macbeth, The Tempest and Coriolanus he started working on in the 1970s. Garneau translations varied based on the content of the play. He invented an archaic Québécois French influenced by Picardy and Normandy dialects for his Macbeth; had Prospero and his daughter, Miranda, speak a “proper” French, and the creatures and sailors and drunks speak popular joual in his La tempête; and had the Roman elites speak a similarly elite internationalized French that Lepage calls “français normatif” in his Coriolan. Lepage directed all three of these Garneau translations for a Shakespeare Cycle that he toured around the world starting in 1992 – but only now, in 2018, is approaching Coriolanus in English for the first time. “It was really cool for me to having staged ... the Garneau translation years and years ago to come to Stratford and to see what they think it’s about,” the director says. Though Coriolanus is far from Shakespeare’s best-known play, it’s gaining relevance in our time as populism has been on the rise around the world. The tragedy concerns Roman general Caius Marcius a.k.a. Coriolanus – played in Stratford by André Sills. Coriolanus is triumphant on battlefields, but struggles with politics when he’s convinced to enter them: He is disliked by the plebeians, the common people of Rome – and the feeling is mutual. When Lepage first worked on Coriolan in the 1990s, he was not on his side at all. “I was very pro-people and pro-plebeian,” he says. But now, a quarter of a century later, Lepage began to examine the play anew with the Stratford cast – “They’re amazing actors, just fantastic, at their best. You can dig into the many layers of their characters, of the script, of the situation” – and discovered that he had begun to find the title character more sympathetic. And there’s one reason why: the rise of social media. Like many of us, Lepage is turned off by Twitter mobs (and the Twitter president south of the border). In the play, for example, the people eventually turn on Coriolanus, and he teams up with Rome’s enemies. Lepage also rues replacement of professional arts criticism with emphasis on how many likes an artist gets on Facebook. In his research, the director was fascinated to discover how direct the connection was between social media and the Roman republic. Online forums, of course, get their names from Roman Forums – but the Republic also had a wall, not unlike the virtual ones on Facebook, where people scrawled messages and replies. Likewise, the YouTube “like” – a thumbs up or a thumbs down – links viewers of online videos to the spectators at gladiatorial matches. “From the moment you give the people their free opinion, allow them to express it, that’s fine – everybody should be allowed,” Lepage says. But he worries about letting the mob determine what is right and what is good. “Huge chunks of Coriolanus’s speeches are about that exactly about that,” he says. Lepage’s 1992 production of the play was noted for the physical frame that he placed around the action as if looking at a movie – a design, he says, he invented at the time to make up for the fact that he didn’t have a big enough cast to fill the stage for the play’s many crowd scenes. But now, even with the entire company of Stratford at his disposal, Lepage has returned to the idea of the frame and a (relatively) small cast of 17 – since “the people” tend to congregate online rather than in the streets. And he’s pushed the cinematic aspect even further – creating a hyperrealistic production full of “shots.” Motorized panels allows for different parts of the stage to be blocked off and the audience’s attention to be focused as in a film. Ironically enough, the trailer for Lepage’s Coriolanus that shows off its cinematic nature – and, indeed, makes it look like a blockbuster thriller – is the most popular on Stratford’s YouTube channel so far this season, beating out even the Rocky Horror Show in views. The main question about Lepage’s directing at Stratford is: What took so long? It’s not the language barrier: All the way back in 1992, Lepage tackled A Midsummer Night’s Dream in its original English at the Royal National Theatre in London – indeed, becoming the first North American to direct Shakespeare there. Until now, Lepage’s work has only been seen once before in Stratford – in a tent outside the Festival Theatre, where a bilingual production of Romeo and Juliet, on which he and director Gordon McCall collaborated, visited from Saskatchewan for two weeks in 1990 (and that featured Tom Rooney, now a Stratford Festival star). The simple, but complex reason is the Stratford Festival and Ex Machina, the company Lepage founded in 1994, work in startlingly different ways. Stratford’s repertory system has actors rehearse two shows at once, six days a week – usually over a period that runs twelve weeks. Ex Machina, on the other hand, likes to spread 10 weeks of rehearsal over years – a five-day workshop here, two weeks of rehearsal there, with lots of room for an artist’s subconscious, or as Lepage puts it, “the rendering farm” to do work in between. At Stratford, creative teams usually come up with the design of a show well before the beginning of rehearsals, while at Ex Machina, the design comes out of rehearsal process. Indeed, at his base in Quebec City, Lepage has actors rehearse morning and evenings, so that his technological wizards can come up with technical prototypes in the afternoons. For too long, Stratford’s system was too “rigid” for Lepage to work within – but artistic director Antoni Cimolino has “softened that down,” the director says. With the help of a New Chapter grant from the Canada Council, the two Shakespearean solitudes were able to compromise: Two workshops in Quebec City on Lepage’s turf, were followed by two rehearsal periods in Stratford.